A petite pack that's small in size, but big on colour. 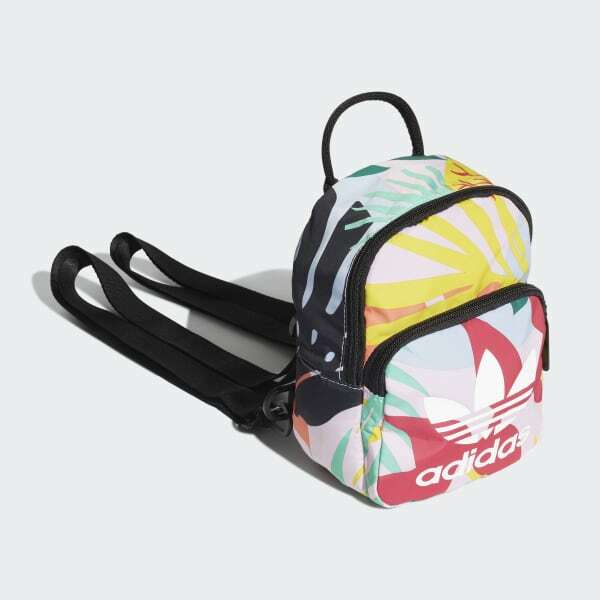 Add a colourful touch to your day with this vivid, tropical-print backpack. 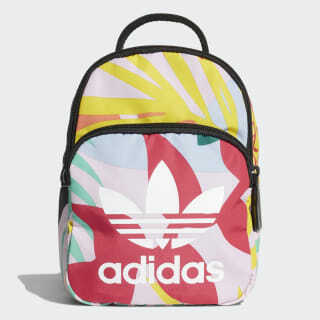 Its petite design is accented with two oversize 3-Stripes zipper pulls made from seatbelt webbing. Wear it like a backpack, or detach the straps and carry it by the handle.